Elegant Hotels provide luxury, variety across five properties. 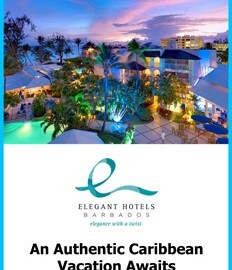 The Elegant Hotels Group was formed in 1998 and brought together five Barbados properties that had been constructed independently in the 1950s and 1960s – Colony Club, Crystal Cove, Tamarind, Turtle Beach and The House – under a common umbrella of luxury amenities, services, dining options, water sports and entertainment options. Also included as part of the operation is Daphne’s, an Italian restaurant located alongside The House, that’s been ranked among the nation’s 10 most popular eating establishments by the Zagat’s Best of Barbados travel guide. In fact, the group operates a “Dine Around Program,” in which a complimentary daytime water taxi allows transportation between its West Coast resorts to enhance culinary variety. And variety, according to the corporate leadership, has been the spice of success. “Strategically, it works well for us because it’s a wide-ranging portfolio,” said Sunil Chatrani, who’d been the group’s chief financial officer before elevating to chief executive officer in January 2012. “It caters to a wide cross-section of guests. All of them have some things in common and we’re really going for that personalized, intimate feel – a bit of a unique feel. But what really works for us in the business community is having the diverse portfolio that’s got something for everybody’s taste. The corporate headquarters facility is located in Barbados, but all sales, marketing and distribution services are based in Fort Lauderdale, Fla.
Additional sales staffs are located in the group’s primary markets, which include the United Kingdom, the United States and Canada. The U.K. is responsible for about 70 percent of overall resort traffic, while another 20 or so percent typically arrives from North America. Other tangible, though significantly smaller, markets include Germany, Russia, Italy and France. 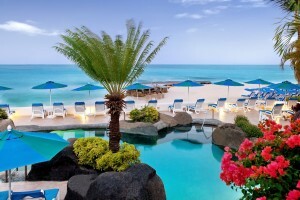 Some of the individual resorts do better with specific clientele, according to Sylvia Scholey, Elegant’s vice president of sales, marketing and e-commerce, who said Turtle Beach, Tamarind and The House do well with younger U.S. customers, while the Colony Club and Crystal Cove tend to attract more traveling clientele from Great Britain. The annual group capacity rate hovers at or around 70 percent, she said. The typical busy season for all group properties runs from November through April, but the emergence of “shoulder seasons” has left June and September as the only predictably down months across the board. In terms of competition, and differentiating from it, Chatrani said having four of the five Elegant properties (all but Turtle Beach) on the West Coast – locally dubbed the “Platinum Coast” because of the selection of high-end accommodations and the clientele they attract – is a distinct advantage. Also important, he said, is a cyclical corporate process of reinvestment to upgrade all facilities. Scholey said that the attractiveness of Barbados, as opposed to other Caribbean destination options, lies in the diversity of the experiences available. 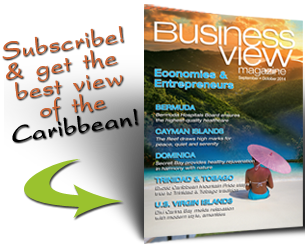 The Caribbean Tourism Organization said the country had 376,716 tourist arrivals between January and September this year, ranking it No. 10 among 27 locales that reported arrival statistics. The number was down a fraction of 1 percent from the same time period in 2013. Recent group-wide changes have included specific looks at how each property is positioned, which led to Tamarind being reinvented as a West Coast luxury (European Plan) product, while Turtle Beach on the South Coast was targeted to lead the family-centric all-inclusive market. Colony Club’s makeover included a lean toward wellness and healthy eating, with incorporation of yoga and Pilates classes for guests and installation of an organic garden on the premises. The House is more of a boutique concept without a reception desk, and enhanced focus on it in recent years has helped elevate its TripAdvisor ratings position from the high 20s to the top two. The future, according to Chatrani, could mean taking that focus off the island. “There’s an expansion plan in the game,” he said. “The platform is there for growth and I think that’s what we have to do. And it would have to be outside of Barbados for us to expand as more of a regional player. To be safe, I would say within the next five years that we’d see an expansion plan rolled out. We’d like to see it a lot earlier than that, but these things take time. WHERE: Corporate headquarters in Barbados; sales, marketing and distribution functions in Fort Lauderdale, Fla.